If you are new to Montessori, you may have noticed that in such a setting telling a child ‘good job’ is discouraged. It may seem strange. After all, what’s the harm in telling a child they did well? We want to show our children that we love and appreciate them. We want them to know that what they did was appreciated, that we would like for them to do it again. 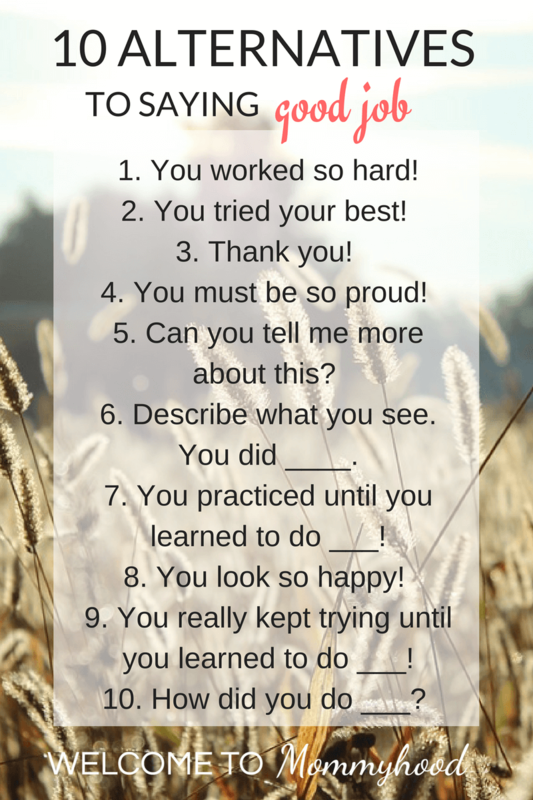 However, today, I want to break down what we teach our children when we say ‘good job’. In general, I want to chat a bit about avoiding praise – why praise (or punishment) are not used in a Montessori home or school, as well as alternatives to ‘good job’ and praise. In a Montessori setting, we avoid using praise or punishment. Dr. Montessori’s approach is, in my opinion, absolutely genius because the entire method is based upon trusting a child’s inner teacher. Children develop a deep love of learning and are intrinsically motivated. They do not do homework or study because they are forced to, but because they have a passion and desire to learn. They help others because they feel this is the right thing to do, not because they are told to. This, in my opinion, is a beautiful way to live. It is a happier way to live. To truly understand why praise or punishment is discouraged, let’s dig into the psychology of it all. This is actually something I’m really excited about because I get to put my degree to use, and I’m geeking out a bit to tell you about reinforcement theory, conditioning behaviour, and all that wonderful theory behind why people do things! I am going to be overly, overly simplifying some big theories to try to keep it a bit accessible and short enough to read through with one (or two, oops!) cup of coffee or tea. If it’s too long, feel free to scroll down to the “What’s the problem with praise” heading. Simply put, reinforcement theory argues that one can change someone’s behaviour by using reinforcement, punishment, and extinction. One uses rewards (such as praise, gifts, etc) to reward behaviour to want to occur again. Punishments (spanking, time out) are used to stop a behaviour. Punishments and rewards fall into this reinforcement theory of behaviour. Let’s start off with something that may be a bit more obvious. Punishment. We get bombarded with tons of facebook memes that tell us not to spank, articles against using time outs, etc. When we use punishment, we can teach people to avoid certain behaviours. The desired behaviour becomes eliminated because the punishment is associated with the behavoiur. Use our Free Printable Alternatives Poster as a reminder! A child breaks something intentionally and gets spanked. Behaviour = breaking an item. Do not things because you get a physical punishment. If someone else breaks something of mine, a physical punishment is appropriate. Fear making mistakes and accidents. While punishment may get the result we desire – a child may not dare to break something in the future, never in this process does a child learn why breaking something is not a behaviour they should engage in. They may associate breaking something with being hit. This could actually lead to unintentional consequences for parents as children may accidentally break something, and then hide it from caregivers due to fear of being hit again. Punishment, such as spanking, can get the end result we may be searching for, but think about how that works and what we teach in this case. We teach a child to avoid a behaviour because they want to avoid the punishment. They never learn to value items. They do not learn how to handle delicate items. They do not learn to hold something a way to avoid breaking. What is a more valuable lesson in this situation? Okay, well, it may seem fairly clear that punishments aren’t used a Montessori setting. Praise is not exactly the same thing as spanking. Yes, you are totally correct! Praise is a reward which is the opposite of a punishment (yes, obvious, bear with me). But! The psychology of it works the same: When we use either, we condition a person to associate behaviour with the outcome. Never in this conditioning does the person truly learn to understand the process of why. The behaviour is not understood, but is only associated with some immediate result – good or bad, leading to a change in behaviour according to reinforcement theory. When we use rewards, punishment, etc, we place children’s understanding of whether something is good or bad on us (adults). Let’s take an example of a reward. Say, a child shows us a drawing and we say “good job”. What happens is that now, whether the drawing is good or bad is based on our opinion, not what the child thinks of this drawing. Next time, they will expect to hear “good job”, as well to know whether they have created a lovely drawing. Here is another example: a child cleans up his or her toys. Do not clean up unless parent provides reward. If parent does not offer reward, self worth decreases. As adult, problems with self confidence and lack of motivation to clean. Self worth is tied to others and not intrinsically formed. What praise does is teach children to do something to get the result – to get more praise. They learn nothing about why we do something or how to do it. They simply learn to want/need the end result. In a Montessori setting, we want children to determine for themselves if they are pleased with their artwork, homework, action, etc. We want children’s motivation to come from inside themselves. The motivation in carrying out tasks, such as cleaning, or making art, should not be to hear praise from parents or caregivers. When we do this as caregivers, we can end up connecting children’s self worth, self image, and self confidence onto what we the caregiver think. The problem with using rewards (or punishments) is that we teach children to act based on the external reward we offer. They carry out actions to get the immediate gratification of a ‘good job’ or a sticker or a toy, etc. This is quite interesting if we dig into the psychology of it again. We actually teach that love can become conditional. Self worth becomes conditional on caregivers rather than on whether the child thinks something is good, not whether the child feels they have accomplished something. Children’s self worth becomes dependent on how we as adults see them. This is the problem. Children then become dependent on external motivation for behaviour rather than engaging in behaviour due to intrinsic motivation to complete the task at hand. In other words, children will need to know there will be a reward for doing something rather than doing something for the satisfaction of completing a task or because they enjoy learning. Praise teaches children that they need, they deserve a reward for doing basic tasks. They need someone else to tell them that they did something good, that it was the right thing to do. Otherwise, they can stop engaging in this behaviour. If a child needs someone else to tell them how they are doing, this can also lead to other problems. Think about what happens when that reward is withheld. Say we give a child a dollar every time they clean their room. What if we don’t give them the dollar? Well, why would they clean their room. What’s the point? What about when this child goes to live away from home? They will be shocked to see no reward for cleaning. The behaviour of cleaning will stop if the reward is removed. Instead, a Montessori approach is to show children that behaviour should be intrinsically (internally) motivated. Learning should be done because children enjoy the task of learning. Cleaning is done from an internal motivation, and not because of the expectation of a reward or punishment. Look guys, I certainly don’t mean to say that you are psychologically destroying your children if you occasionally say “good job” to them. I’m not saying we should be avoiding praise all of the time and panicking if we say it every now and again. I also catch myself saying it every once in a while. What I do think is important is to think about alternatives you can use instead of praise. We can ask our children about the things they do, and teach them that we value their opinions of their own work. We teach them how and why we do things. We teach them to become intrinsically motivated (to do things from internal motivation). They do kind, productive things because they want to. Okay so that was a bunch of what not to do. So, what can we say instead? Instead of simply praising our children, we can inquire more about what they have done. Ask them questions about their accomplishments. Acknowledge their hard work. All of this gives the signal that we value our children’s opinions. Their self worth becomes tied to how they see themselves not how their caregivers see them. This makes a world difference. Y: Mom, look at what I did! Me: Wow! You were really concentrating as you worked on that! Y: Yea, it took me a long time. Me: I see that there’s a train track there. Y: Yea! I drew a train here, and the train is taking passengers here … (he goes on to tell me a huge story about his artwork). I love how excited he gets, explaining all of the details, the story of where the train is going, what the weather is. If I would only say ‘good job’, I would miss out on this awesome conversation and connection with my child. A lot of us also use “good job” where a thank you would be more appropriate. Think about when a child cleans up their toys, helps someone, or does something we see as “good”. Think about it this way, if you are visiting with a friend, and they pour you a drink of water, would you say “good job”? Of course not, that’s condescending and silly, so why bother using it with your children? Instead, a simple “thank you” can help to build up confidence and show our children that we see them as capable, helpful individuals. Isn’t that awesome? I truly believe that if we can give our children the gift of this approach, we help to nurture their self confidence. We teach them to be capable. We teach them to trust themselves. This is the beauty of a Montessori approach to learning (and parenting). Use our Free Printable Alternatives Poster as a reminder of alternatives you can say! 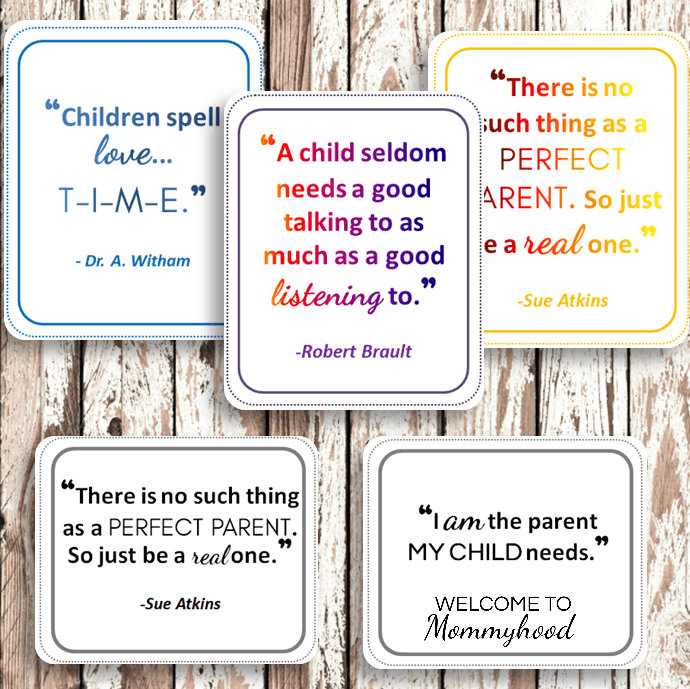 Plus, you will get a bonus set of Postive Affirmations for Parents cards! 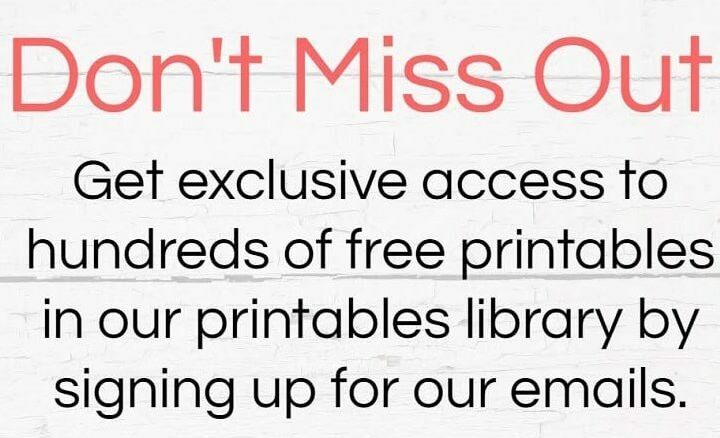 If you need all of your pink series language printables in one place, please get the Tot Labs Pink Series Language Printables! This is an awesome resource with so many wonderful printable materials for teaching children writing and reading! Learn more about the Montessori method by checking out What’s on my Montessori book shelf. Here are some great ideas for setting up a Montessori weaning space. This is FANTASTIC — you explain it all so well. Shared on my FB page! Thank you so much Angela! <3 It was a tricky one to write, but such an important topic! Enter your email below to get access to get our free Poster and Affirmations Bonus! I promise not to spam you! Your privacy is important to me!